I finally revealed my Mothers Day Card Sketch Challenge at S4L. The challenge is to create a Mothers Day Card based on the sketch I provided. You also have to use at least TWO dimensional elements. You are welcome to use this sketch to make a card however, in order to win fab prizes you have to post your card at Scrap 4 Life by Sunday Midnight (ET). If you link here you will get lots of praise and serious recognition from those that count!!! O mY Kazan even your sketches are so artistic ! 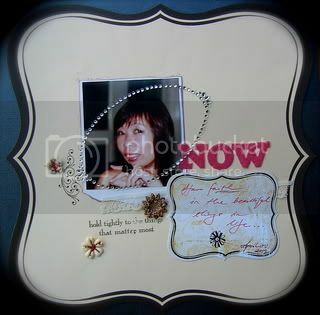 Beautiful card sample ! very inspiring ! So striking! Love the sparkle, layout and that yummy flower! i love your sketch, but the card with the oh so summery oranges & yellow's are just dreamy!! love it! thanks for sharing. i hope that you had a very creative NSD! Oh, I love the colors on this one Kazan......I've finished my Mday cards, but I will still use your sketch for a card real soon!! LOVE IT! !